Well Melburnians, we're well and truly knee deep in winter, which means layers upon layers of clothing, heating turned up to the max and a trusty umbrella closely on-hand to tackle the unpredictable wet weather (sob). But, before you start letting the winter blues get to you, there is a positive! The change of season also marks an exciting change of menu for many of our much-loved and adored restaurants, which means there's a whole stack of new and exciting mouth-watering dishes for you to try. From kick-starter brekkies, to inventive lunches, lavish dinners and decadent desserts, here are our top picks of the winter dishes to warm you from the inside out. If you're after something heartier than your usual brekkie staple, then this is your dish. It's rich with the poached egg, caviar and hollandaise trio, but the trout works perfectly to balance out the flavours. Circa have just started doing brekkie again, which is definitely good news for everyone! In case you haven't heard, it's truffle season and the crew at Morris Jones have cleverly worked their yummy truffles into this killer scrambled eggs dish featuring black pudding and apple caramel. Take it from us, it's a must try! Pancakes are to breakfast what a little black dress is to clothing: an always fabulous, dependable option. And this St Ali specialty is no exception, made even more desirable with poached quince, ginger syrup, crushed hazelnuts and pepe saya crème fraîche. Delish. You eat with the eyes first, and these look just as incredible as they taste. The incredibly thick and fluffy pancakes from Addict in Fitzroy are the perfect morning winter warmer. Served with mascarpone and poached quince, they're a sophisticated take on our fave breakfast staple. Oh, and they taste real good too. It's no secret the smashed avo has been pretty popular for a while now, but this version from Cooper and Milla's uses broadbeans to stand out from the crowd. Along with goats cheese, dill and a poached egg for good measure, you've got yourself a pretty amazing day starter. So what exactly is Za'atar? Well, in short, it's a family of related Middle Eastern herbs, commonly used in Arabic cuisine – or in this case, to make up one of Melb's great winter menu dishes! Your Phamish omelette features feta, olives, red onion, spinach and za'atar. It's oven baked, topped with relish and served with Turkish Bread. Sounds pretty good hey? In winter, we're all about pudding for breakfast! Pope Joan's rice pudding with organic rhubarb has our name allllll over it. Who says you have to be a kidlet to eat crumpets? Not the crew at Pelican and definitely not with this delicious invention! Enjoy your yummy organic crumpets with lemon ricotta, smoked ocean trout, zucchini ribbons and scrambled eggs. 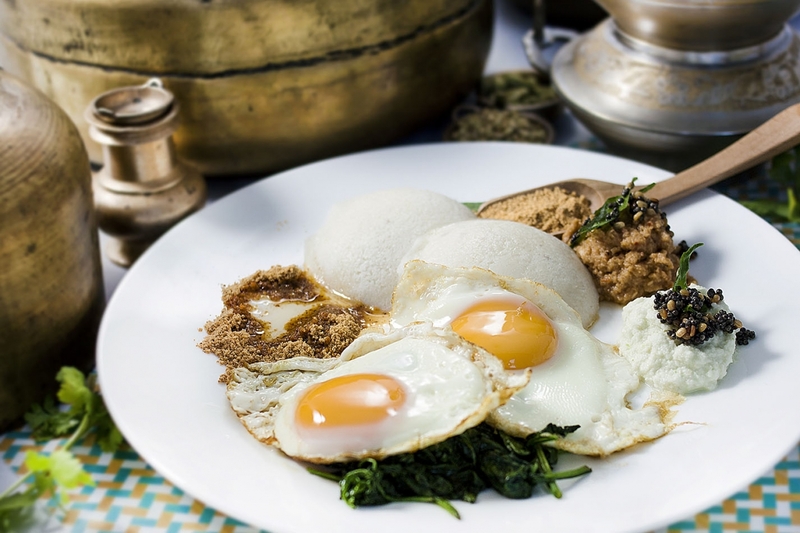 This popular dish from newcomer Tadka Boom features two fried eggs on two idlis (steamed lentil rice cakes), served with gunpowder and fresh coconut chutney, spicy tomato chutney and spinach. Note: gunpowder is a homemade mixture of roasted lentils and chillies, served with a dollop of sesame oil. It's kinda like a spicy Indian dukkah, but not 'blow your head off' spicy, we promise! If you consider yourself a bit of a sweet tooth, Fitzrovia's French toast's for you. Think decadent crème brulee bready bits, served with banana, whipped mascarpone, toasted pecans and grilled Istra bacon with vanilla verjus syrup. Bikini blowout? Perhaps, but with summer so far away, we say you're free to indulge. Get your fix of all things green at Oscar Cooper with kale, spinach & black cabbage on goat's curd with golden sultanas, hazelnuts, roasted cherry tomatoes and poached eggs. The perfect post-gym workout brekkie. The Botanical. Image credit: Estelle Judah Photography. 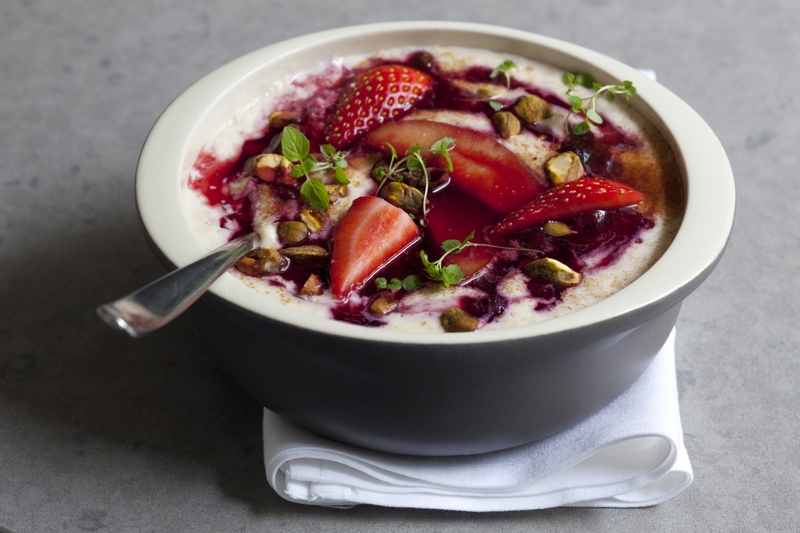 Nothing quite says winter breakfast like a porridge, and this Spiced Quince version from The Botanical features a unique blend of cinnamon and agave porridge with spice and orange poached quince, berries and pistachio. It'll get you all warmed up and ready to go. This gem is part of the Gorski & Jones Italian Workers Lunch where you'll enjoy two courses from Tuesday – Friday for just $20. We just love the Gnocchi Romano with zucchini, pine nuts and sugo. It'll fill you up, but you'll still have room for dessert. Fish pie is definitely one of our fave dishes at TUL and Coppersmith Hotel absolutely nails it with a generous serving size and a crispy, cheesy topping. You'll find this version on their bar menu and it won't disappoint. Sure, this isn't the first time you've seen wagyu beef sliders, but have you seen them with truffle aioli? Mmm! With bacon, pickles and cheese, served on a sweet pain de mie, you've got yourself a mean lunchtime dish to come back for. Oh and there's ridiculously crunchy beer battered chips too! Thank you, Fat Penguin! The Emporium food court has definitely proven it's on the map for top quality lunches. 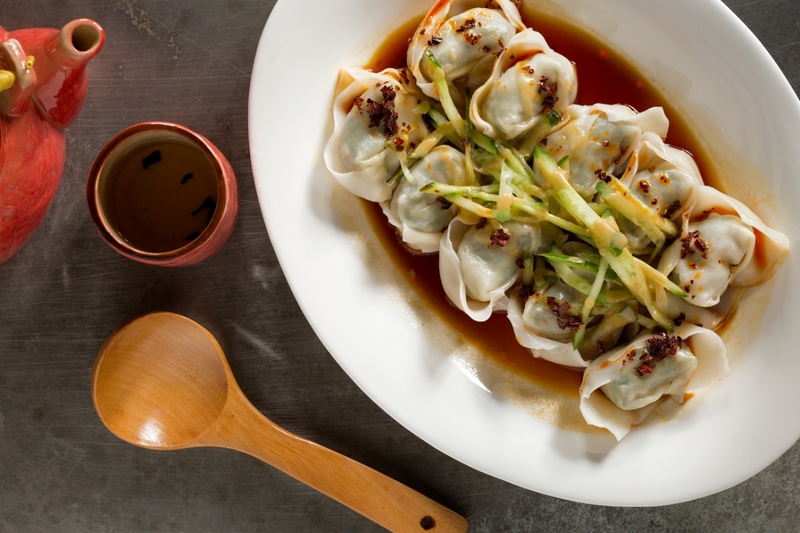 Visit New Shanghai for their prawn wontons tossed in peanut butter, red chili oil and spices. It really is a flavour sensation (pardon the cliché). The perfect winter warmer with a little kick for any seafood lover. Slurp up a tasty Hooked broth of barramundi, mussels, calamari and prawn, served with a garlic toast. You'll definitely be back for more. Sage and butter… did a better culinary combo ever exist?! The housemade pumpkin-filled tortelli in a sage and butter sauce topped with Reggiano at Italian Chef makes us ponder this question even further. Hearty, wholesome Italian deliciousness, fresh pasta is the perfect winter lunch. Hello Gumbo! Yep, Bourbon Street have added the super delicious, authentic dish of Gumbo to their lunch delivery menu. For those who don't know what gumbo is, it's a delicious soup full of smoked sausage, free range chicken and lots of authentic Southern spices with a bed of velvety Cajun rice underneath. Order online and have it delivered! 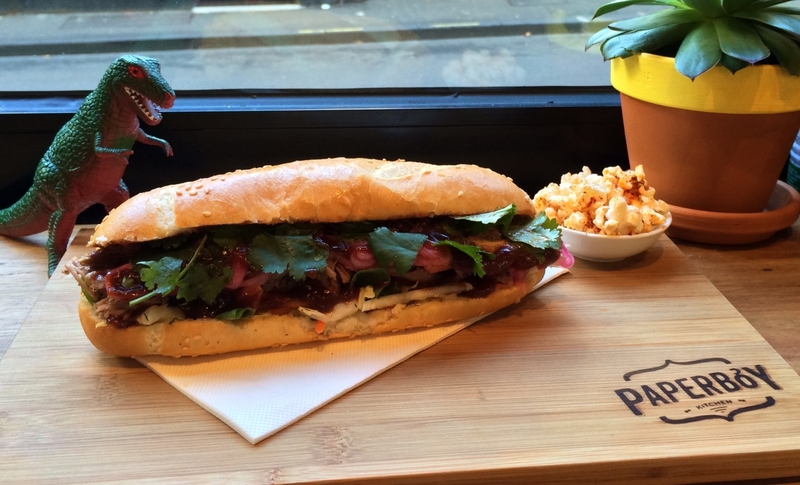 You'll find the perfect Asian winter sandwich at Paperboy in the CBD. Enjoy slow-cooked lamb shoulder with sweet sticky hoisin sauce, Asian slaw, pickled carrot and daikon with fresh coriander. Nom. The popular Bluebonnet BBQ food truck is setting up permanent Collingwood stumps as we speak, and we're super excited! Named after an Old Crow Medicine Show song, their Turnip Green dish is all about smoked pork belly and canollini bean cassoulet. With a slow poached egg, house made bacon and fried green tomatoes, you'll get everything you love about bacon and eggs… and then some. You know you're in good hands at Cecconi's – one of Melbourne's best Italian restaurants. Head to Flinders Lane this winter to try their yummy rabbit ravioli with crime di rapa, crème fraîche, chives and parmesan. Take advantage of their two courses for $45 offer and try some of their other yummy dishes, too. Yes, we insist. 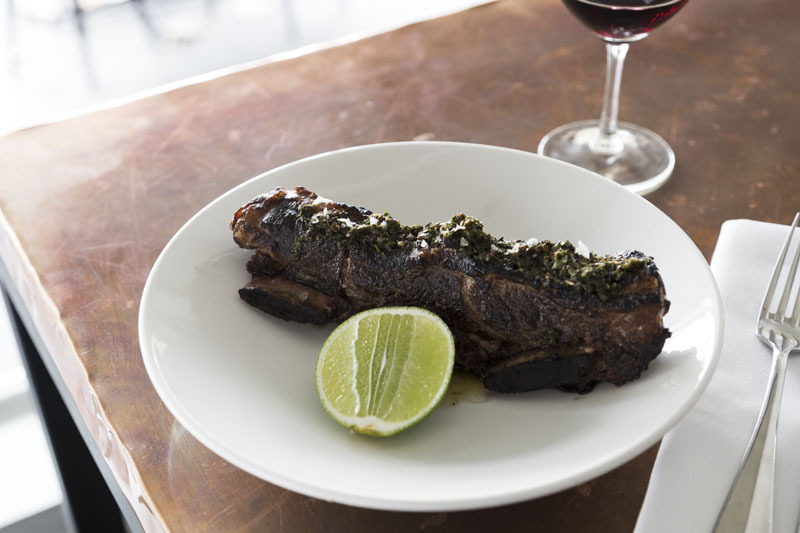 Head to Piqueos in Carlton North for some of the best Argentinian and Peruvian fare you'll come across in Melbourne. The amazingly tender and succulent lamb rump is grilled to medium and virtually melts in your mouth. One of the best lamb dishes we have had in agggges! Our tip? Order the sweet potato to accompany it for a winning combo. The Noble Experiment's porcine delight is designed to serve 7-10 people, so take the whole crew! Bite into tender pork shoulder with crispy crackling, served with cauliflower and cheese plus flatbread wraps. You can thank us later. Haven't got time to braise your own beef cheeks? Why would you, when Hyde Street Hotel in Yarraville does it so well! They come with roasted baby onions, SALTED CARAMEL brussel sprouts (bring the kids) and creamy potato mash. Winter comfort food at its very best. Minestrone might not sound like the most original winter dish, but the one at Olivigna's La Sala has us salivating.., It's chock full of fresh silver beet, broad beans, thyme, oregano and bay leaves, picked from the gorgeous Olivigna gardens. Served with homemade crusty bread and estate-produced olive oil. Seriously, what more could you ask for. The two best words in the dictionary: slow roast. The Town Mouse are putting on a succulent slow roasted saltgrass lamb shoulder this winter, teamed with tahini and buttered savoy cabbage. Let the drooling commence. If you've got a soft spot for schnitzel, you're in good hands at Lamaro's. 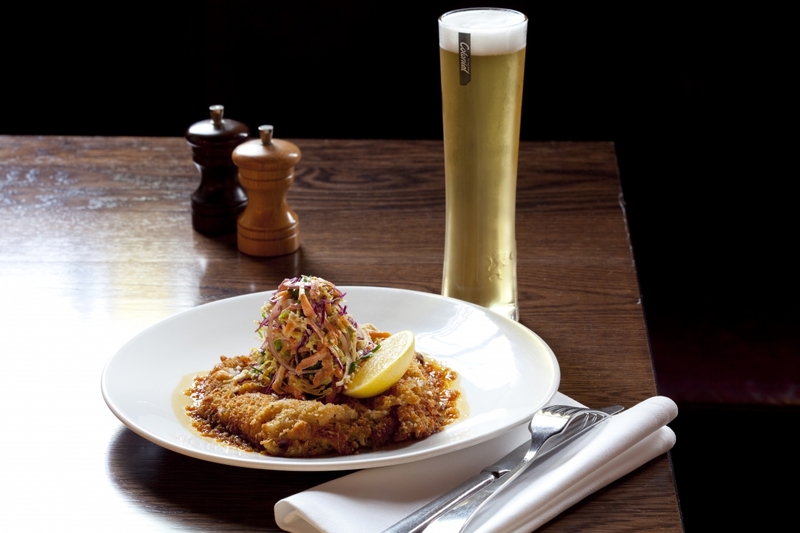 Featuring lightly crumbed veal, served with hot mustard, coleslaw and sauce diable, this dish is definitely going to hit the spot during the chilly months. We promise. In case you didn't read the above line correctly it says DUCK IN CHOCOLATE! Yep, you won't get anything ordinary at DuNord and we're thankful. Instead you'll get duck in chocolate with lingonberry and blood jus, potato stones and foraged leaves. Seriously, you have to try it. The duck's nuts of winter dishes. Nothing says winter like a piping hot bowl of soup, and French Onion is about as soothing as they come. We're grabbing ours from Thomas Olive Bar, the cosy drinking den above Saint Crispin on Smith Street. 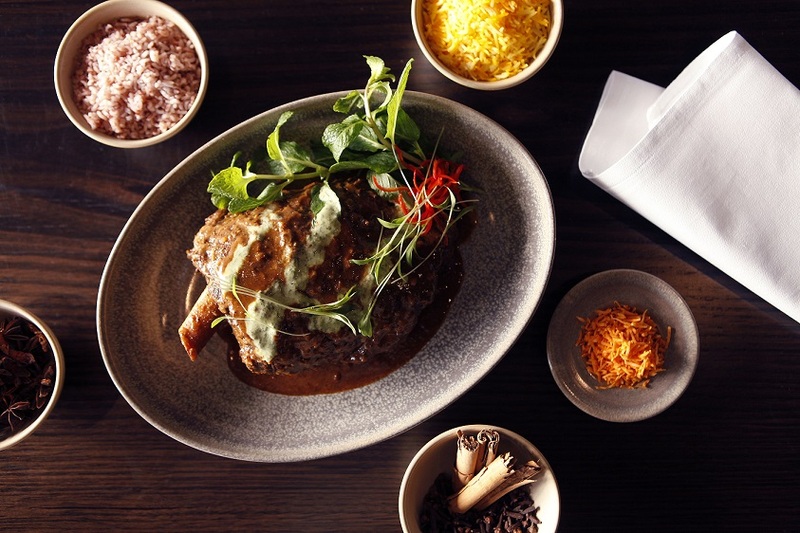 At Araliya in St Kilda they're all about combing the flavours and techniques of French and Sri Lankan cooking and they do it beautifully. Take this dish for example; the delicious duck confit is cooked gently in a roasted fennel curry to infuse the flavour, and then served with homemade pineapple chutney for a slightly sweet finish. Having only just opened its doors, Lucy Liu is already causing quite a stir. Visit for the Korean style crispy pork hock with apple kimchi salad, pancakes and hoi sin. Lap up the atmosphere in this trendy new restaurant. You're going to love it. Lamb shanks are pretty much the go-to winter meal and the good thing is, they don't have to be super duper fancy to get the job done. Robert Burns Hotel does a great version with tender shanks served with sautéed dutch carrots and potato mash. Simply delicious. Beef encased in puff pastry – what a marvelous love affair. Enjoy 180g of beef, with bacon and mushroom thyme duxelle, served with green beans, pumpkin and peppercorn jus. Definitely a winter menu winner from The Penny Black. This downright delicious dish from Huxtable has a kind of gnocchi-like appearance which belies the Asian flavours. The braised oxtail is combined with gojuchang, which is fermented with a chill and soy bean taste, and cooked at low temperature. 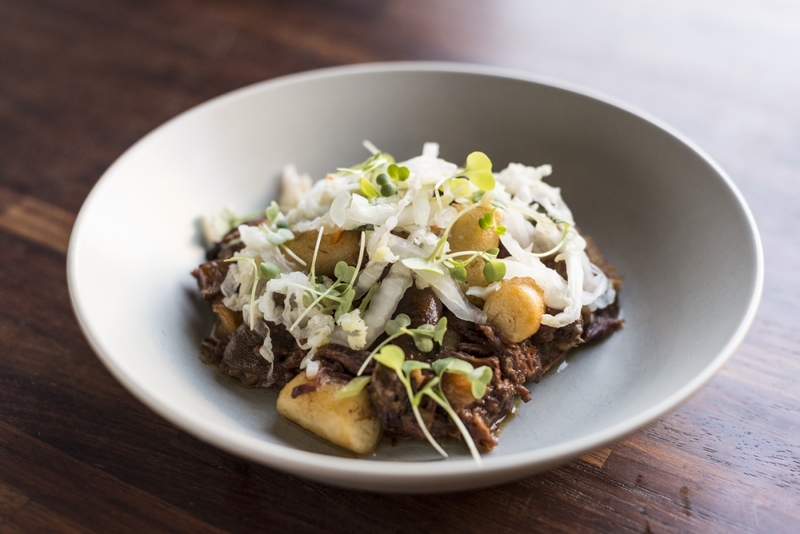 It comes served with pan fried tteok (Korean rice cake and a white kimchi garnish. Yummy. This baby from the Newmarket is big. So big it's designed for sharing, which might be an issue once you bite into it, it's that good. Imagine a bowl full of indulgent chocolatey goodness with the inclusion of pears, topped with salted caramel sauce and vanilla ice cream. To. Die. For. One word: Wowser! Niuew Amsterdam's waffles are the perfect treat for the peanut butter lover or waffle enthusiast in your life. With lashings of salted caramel drizzled on top and served with a big ol' scoop of raspberry sorbet, you're going to want to start all over as soon as you're downed the last bite. That's right. Blood orange soufflé. Our new favourite people at The Smith have created this decadent dessert to cheer us up on those cold Melbourne nights. The light as air citrusy soufflé is accompanied with dark choclate sorbet. So it's kind of like a grown up version of Terry's Chocolate Orange... only ONE MILLION times better. All good things come to those who wait. But don't wait too long to try this showstopper of a dessert at Brooks. 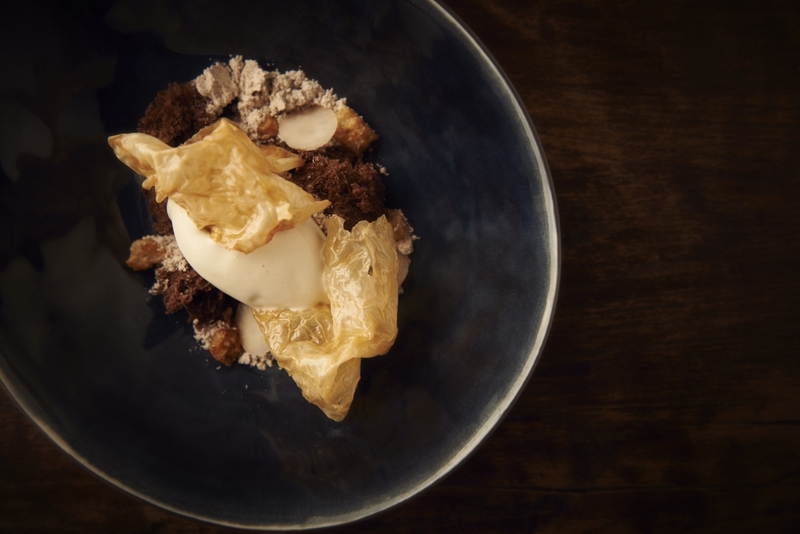 Sweet artichoke ice cream with a dark chocolate ganache, light chocolate cake, caramelised pork crackling, hazelnut powder and a candied soy milk skin. What a mouthful?! But a deliciously amazing one at that. Go forth and try. This apple and walnut tart has everything you'd expect from an apple and walnut tart, and more! Kong's inventive combo of butterscotch and Japanese whiskey ice cream complements the tartness of the tart and adds a superbly creamy flavour, which you'll love. This one is definitely not for sharing. For flavour that packs a punch, this preserved lemon and yoghurt parfait is one for the culinary archives. Enjoy spiced pear and quince with rosemary fig ice cream and a medley of refreshingly fabulous flavours as you wind down for the night at Maha. Simple flavours and a stunning presentation are what makes GG's dessert dish truly pop. The coffee soufflé is made even more decadent with the milk chocolate sauce and finished off perfectly with the addition of vanilla bean ice cream. End your meal on a high with this sumptuous winter dessert. You pretty much can't go past a fondant if you're a chocolate lover. The tap, tap, tapping on the outer layer with a fork, only to release the flowing river of chocolate concealed behind; oh it really is a glorious thing, isn't it? Get Hammer & Tong's fondant in your belly and revel in the addition of milk and lavender ice cream. Sigh. Pudding is one of the first things that come to mind when thinking about the ideal winter dessert and Little Collins St Kitchen really gets it right. Pear and ginger are the stars of the show, but the rum and raisin ice cream really blends it all together. At Chiara there are two takes on the Tiramisu dish. Sure you can have the Italian classic with all the usual, OR you can have the modern version (pick me, pick me) featuring layers of beetroot, salted coffee, mascarpone and amadei chocolate. Enough said. Who doesn't love doughnuts? Especially when they're soaked in Cointreau, filled with white chocolate mouse and topped with mandarin granita, as they are at Riva. It's pretty safe to say this is definitely going to steal your beating food lover's heart. A Middle Eastern bakery, cafe and grocery store in one, Murrumbeena's Oasis Bakery is our go-to for decadent sweet treats. One bite of their Kuneffa, a sweet cheese baked with semolina and kataifi pastry, and you'll understand why. Main image credit: Design Conumdrum.